EEEEEEE!! A fabulous futuristic re-telling of Cinderella! I remember staying up until 4 in the morning, because I so needed to finish reading it! Seriously, this is no doubt the perfect book to start off the year! There are likable characters, ones you’ll dearly miss upon the completion of the book as well as those you hate so much you literally want to jump inside the story and strangle them to death. I remember in the original fairytale, both the stepsisters were horribly cruel, but in Cinder, I loved how instead of two malicious sisters, one of them, Peony, was incredibly loving and sympathetic, always helping out Cinder whenever possible. Peony is definitely one of my favourite characters in the book! And there's Iko (I love that name :D ), Cinder's android buddy, who was so cute and funny. Gosh, I loved her as well! As for the stepmother, her selfish and viciously cruel actions will have you screaming your head off and itching to give her a piece of your mind. Slap her, strangle her, murder her- ANYTHING is better than having her thoughtlessly ordering Cinder around, not caring about anyone but herself. There’s also the Lunar Queen, who has got to be the most self-centred devil in the world. Yet as much as I hated her, she was a fantastic antagonist, all the same. Of course, Cinderella meets the perfect prince! PRINCE KAI. *swoon* I seriously fell for his irresistible charms <3 Kai will soon be crowned the new Emperor, after his father’s untimely death from the deadly plague, and with this coronation and title, comes tremendously important responsibilities that seem like a lot for a mere teenager to cope with. Yet, he is determined to become an Emperor that does his country proud, and will do anything to ensure the country’s freedom from the evil clutches of the Lunar Queen. I seriously LOVED the interactions between Cinder and Kai! I mean, it's not everyday a mere cyborg and Prince talk like they're equals, right? And yet, Kai never treated Cinder like anything but his equal! Cinder and Kai’s relationship developed slowly, and readers will be rooting for them until the very end. I'm such a sucker for forbidden romance; every one of them breaks my heart! As much as I loved *almost* everything about Cinder, there were a few slight issues. I like unpredictable books, with twists and turns here and there, that take me completely by surprise. I love it when I can’t guess the ending. However, several chapters in, I already knew what would happen in the end, and touché! I was right!But the predictable plot was only a minor downfall, and didn’t affect my enjoyment of the book too much. Another was the lack of Chinese culture incorporated in the story; I remember reading another re-telling of Cinderella, set in Japan, and you could immediately tell it was set there, because of the Japanese culture and customs. If it weren't for the honorific, I don't think I would've been able to tell whether the setting was China or some other part of the world. 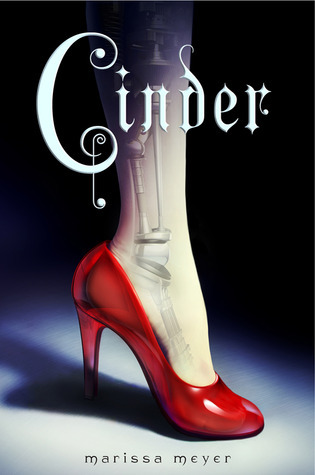 Cinder is an imaginative and unique retelling of one of my all-time favourite fairytales, Cinderella. With an intriguing plot, despite its predictability, endearing characters, Cinder is a brilliant re-telling that will leave you desperate for the next book! With that cliffhanger, I, for one, am definitely eager to read the next instalment! I feel exactly the same way about this!! I don't know what was more the standout - the characters or the worldbuilding. Such an intriguing, well crafted futuristic society and oh my gosh. IKO!! (hehe.) CINDER! KAI! <3 Oh I adored their relationship. And I guessed the mystery too, but like you, it didn't detract from my life of this book. 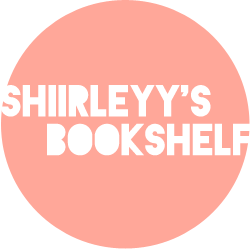 Brilliant review, Shirley! NOW SOMEONE GET US THE SEQUEL. STAT!! I know right!! The characters were FANTASTIC! Omggg what happened to Peony and Iko was SOOO SAD!!!! Why do all the good characters have to die?!?! Hahaa, we have to wait 3-4 years for the last book to be released! HOW AM I GOING TO SURVIVE UNTIL THEN?!?!? Haha, thank youu Celine <3 LOL I just like to guess what happens in the end (maybe because I read a lot of detective/crime books so I'm always trying solve the case before the ending! Lol) Oh Yeahh, it's been a while since I read Cinder, but Kai is Chinese, yeah? He looked western in the trailer but seriously hot <3 Yes!! NEED THE NEXT BOOK NOW!! !